Indies are a nice replacement to the lower and middle budget games that big publishers used to release on a monthly basis. That's not all they're good for, however. So many indie games showcase such a high amount of creativity that there is an embarrassment of riches of fantastic games, indie or not, to play! This edition of SuperPhillip Central's Favorite VGMs celebrates indies with five themes from five different indie games. 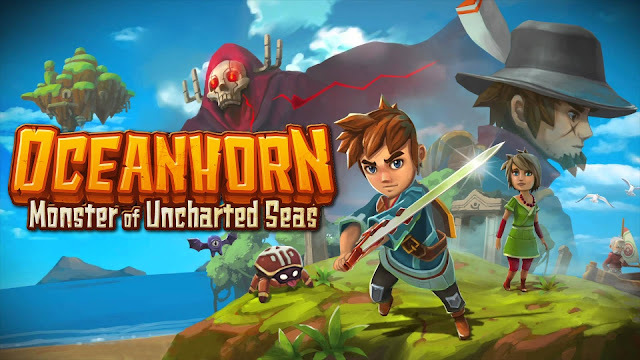 We start off with two Legend of Zelda-inspired takes on the formula with Oceanhorn: Monster of Uncharted Seas and Ittle Dew 2. 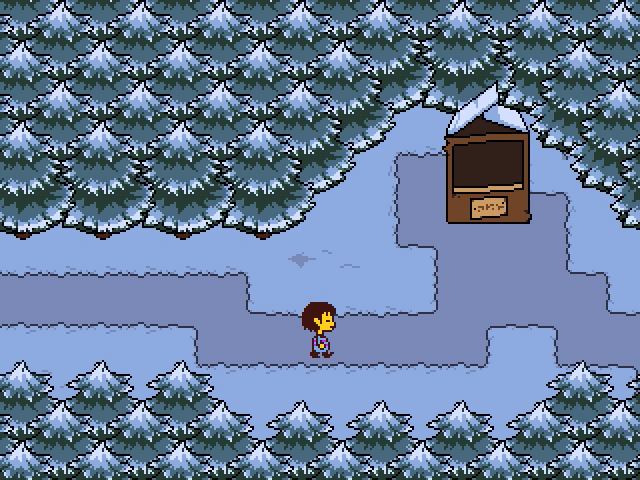 Then, Undertale delivers a delightful winter tune. 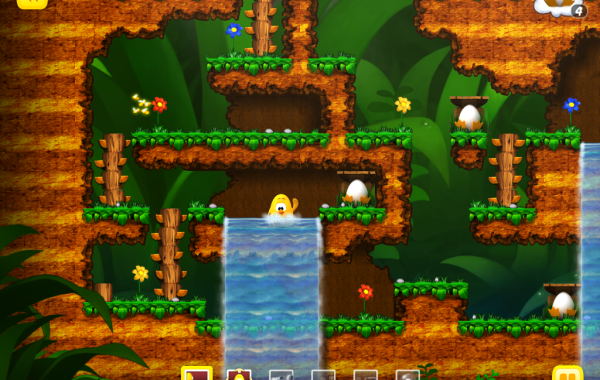 Following that, Toki Tori hatches a wonderful theme. Finally, Super Meat Boy trims the fat with an excellent funk track. Click on the VGM volume name to hear the theme mentioned. Finally, check out the VGM Database for every past VGM volume ever featured on this weekly segment. Now, let's get on to the music! Let's start this week's and this indie game-centric edition of SuperPhillip Central's Favorite VGMs with an isometric adventure game inspired by The Legend of Zelda: The Wind Waker. 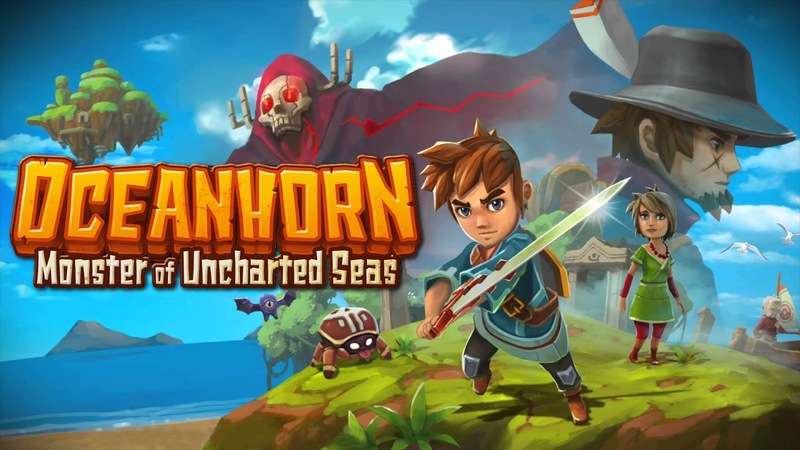 Although Nobuo Uematsu and Kenji Ito, two veteran Japanese video game composers, are credited with top billing in Oceanhorn: Monster of the Uncharted Seas, the majority of the music, including this riveting theme, was written by Kalle Ylitalo. Considering many confused Kalle's themes with Uematsu and Ito's, that's quite the compliment for Ylitalo! All around, Oceanhorn's wonderful soundtrack is absolutely incredible. Another Zelda-like game, but this one is less influenced by The Wind Waker and more influenced by the original Legend of Zelda and A Link to the Past. 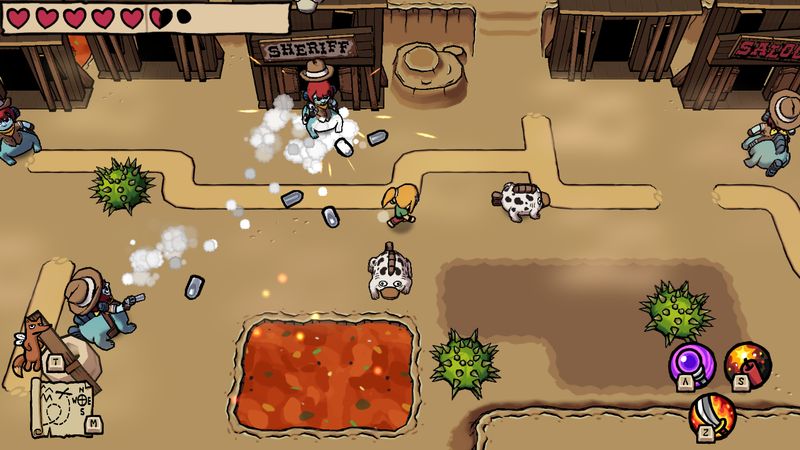 It's Ittle Dew 2, a game by Ludosity that is a great improvement from the original, being one of SuperPhillip Central's favorite indie games of 2016. The music hits all the right notes, such as this one for the Peppermint Prairie area of the game, an area full of Wild West imagery, volcanoes, lava, and magma. If you have yet to play Undertale, perhaps this perfect-for-winter theme from the game might influence or persuade you. Undertale was a massive indie success, made primarily with one person, showing that you don't need a humongous team to create a great game (though that does help). Snowy is a peaceful, tranquil, and delightful theme starring piano and then lovely strings. We move from a winter wonderland to a peaceful forest setting where the first world of Toki Tori takes place. The game was originally a Game Boy Color release before getting a massive makeover on WiiWare and then multiple other digital storefronts. A sequel was made several years later, and it's one of the best puzzle adventure games around. Both possess a positively glorious soundtrack to them, as evidenced in Toki Tori with this song. 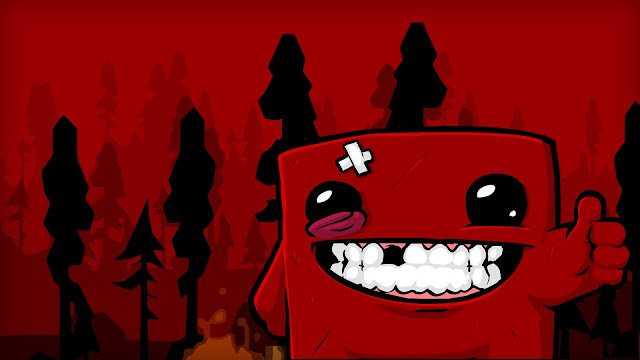 One of the earliest major indie success stories out there, Super Meat Boy was a main fixture of the Xbox 360's library of digital gaming goodness. The game was also featured prominently in Indie Game: The Movie, detailing the massive hell it is to make, launch, and market a game of any size. Toki Tori passes the forest-themed baton to Super Meat Boy, showcasing a truly funky song-- if the name of the track didn't already spell that out, of course! After Friday's scathing article about the similarities between the Switch and the Wii U, let's go for something more positive about Nintendo's upcoming console. Nintendo seldom falters when it comes to the games, and with this list of the ten games that SuperPhillip Central is most anticipating from the Switch reveal, that line of thinking of continues. Now, let's get the "Whoa, the Switch actually has ten games coming out?!" jokes aside. As you'll see with this list, there are some interesting games coming to Nintendo's new console. After checking out SuperPhillip Central's picks, which games are you most anticipating? 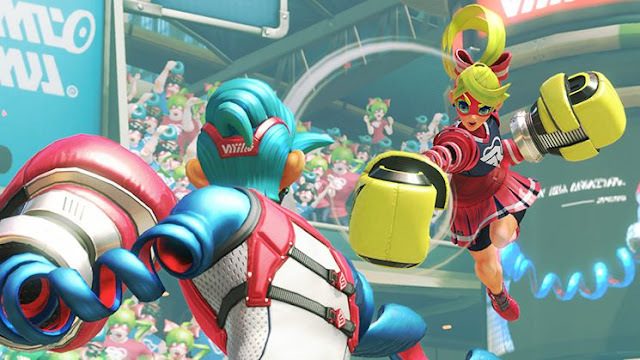 Nintendo doesn't always introduce new franchises of this scope and highlight them as much as they did with ARMS, a near-launch Switch game in development. 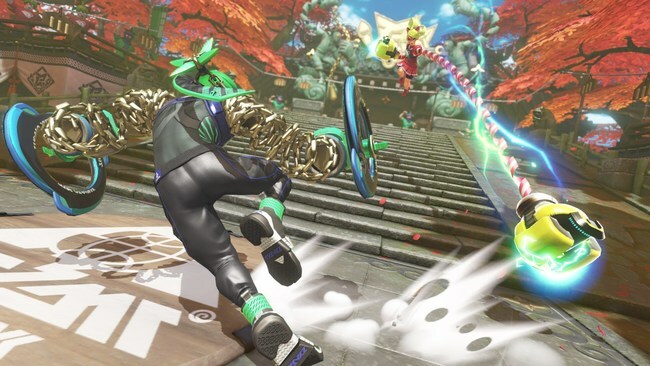 ARMS has a lot of colorful personality to it and features one-on-one battles where players sling their arms out, hoping to deal damage to their opponent. In addition to controlling the direction and arc of their arm attacks, players can also block, all done using the Joycons. 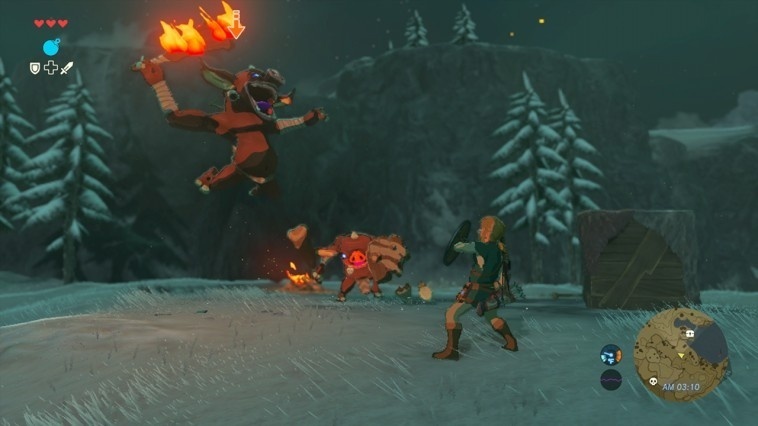 Motion controls aren't mandatory either, allowing players to choose between control styles at their leisure. Between the lovely art style, current features, and future details, ARMS is looking like quite the new franchise on Switch. 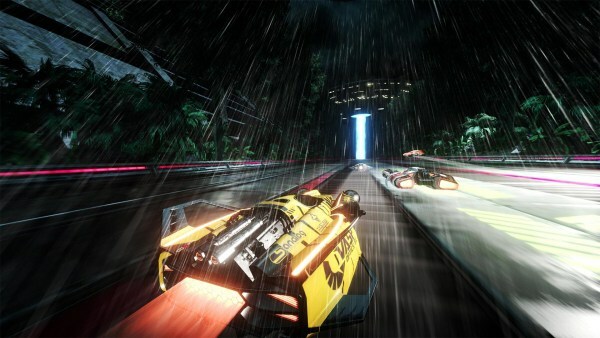 A Wii U exclusive by the proficient graphical geniuses at Shin'en, Fast Racing NEO was one of the system's most impressive indie titles. Now, the game is hitting the Switch with 30 tracks, up to four player split-screen, and online for up to eight players. 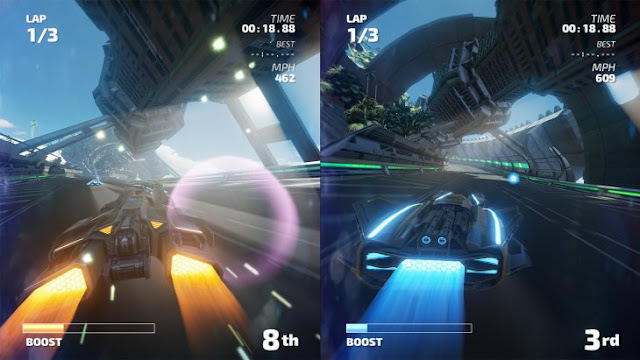 Through switching between two differently colored auras for their vehicles, players can take advantage of boosts and more in intensely fast races. Though inspired by other futuristic racers like F-Zero and Wipeout, Fast RMX is its own entirely different beast. With all of the new content available and all in gloriously improved graphics, Fast RMX is the definitive version of Shin'en's futuristic racer. Sega turned to the creators of the excellent Sonic CD HD port and Sonic 2 iOS and Android release to create a brand-new 2D Sonic for them. This is none other than Sonic Mania, a game that introduces plenty of newness to the Sonic formula, such as a new Drop Dash technique that has Sonic drop down from midair and enter a spin dash in effortless fashion. 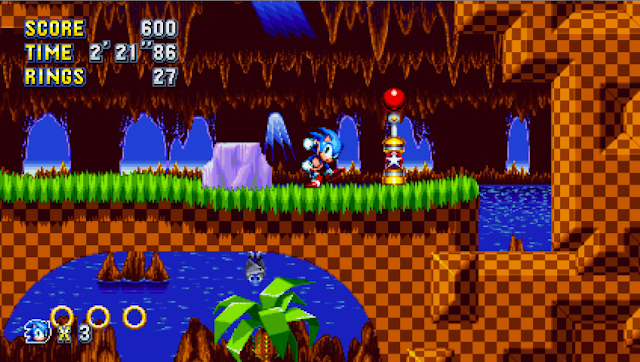 Zones both old and new make an appearance in Sonic Mania, but even familiar places like Green Hill Zone have gotten serious facelifts and new mechanics and features added into them. 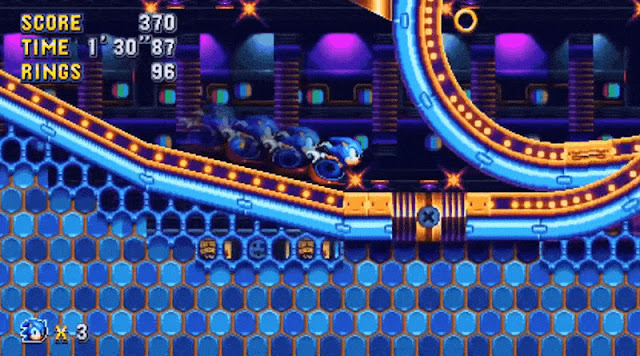 What we're getting with Sonic Mania is a modern 2D platformer that finally is worth the Sonic name. Ever since The Legend of Zelda and the Dynasty Warriors franchises combined into one fantastic game with Hyrule Warriors, many Musou and Fire Emblem fans have clamored for a crossover with the Fire Emblem franchise. With the Nintendo Switch presentation on Thursday night, fans got that very wish granted with Fire Emblem Warriors. Who knows what who's who of familiar Fire Emblem faces will be showcased in this awesome combination of Fire Emblem and Dynasty Warriors? Thankfully, we might not have to wait long to get a taste of this much anticipated crossover when Fire Emblem gets its very own Nintendo Direct next week. 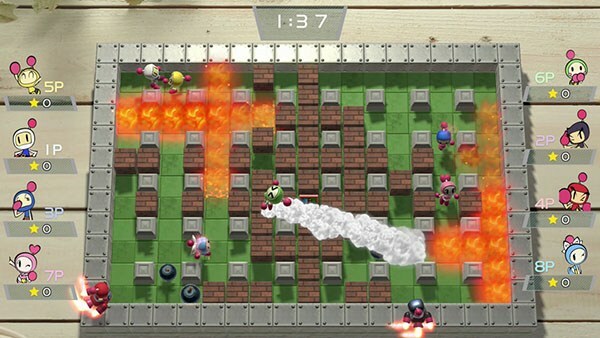 Finally, Bomberman is back, and he's looking absolutely sensational. 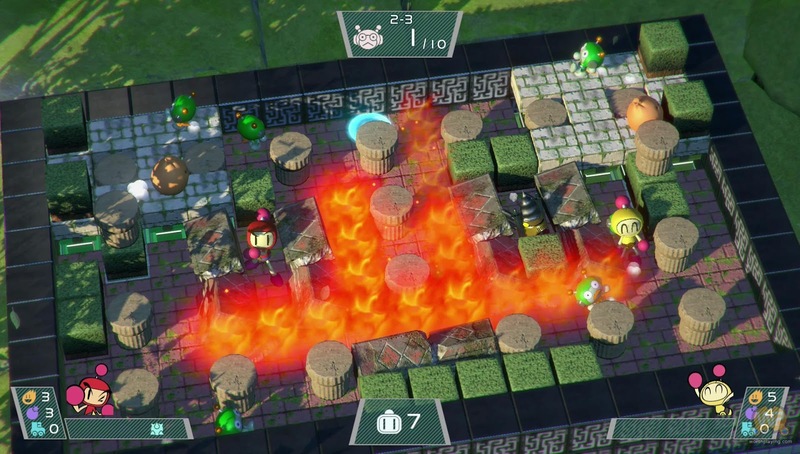 Super Bomberman R not only sees Bomberman's return to the console space with this Switch exclusive, but it also sees many original Bomberman staff working on this new game. SuperPhillip Central can't think of any better game to showcase the multiplayer experience that Nintendo's Switch promises-- whether it's sharing the same screen TV-wise or huddling around the Switch controller screen miles away from home. Containing the same timeless Bomberman gameplay and a brand-new story mode, Super Bomberman R is very much an anticipated game around SuperPhillip Central. 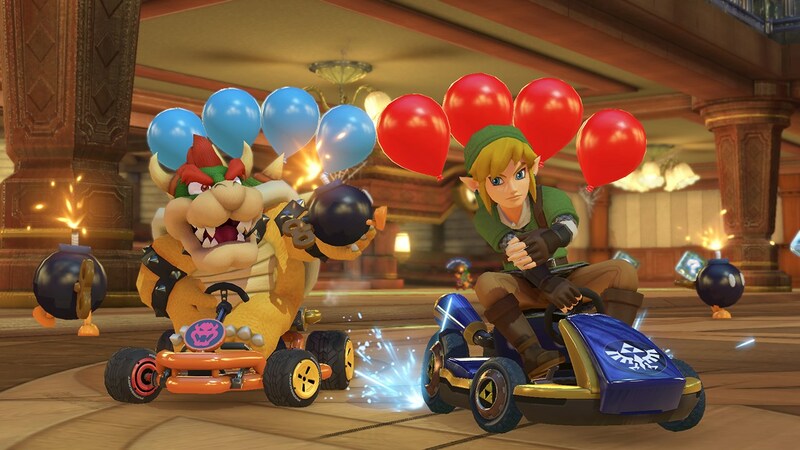 Despite not containing any new racing tracks (there goes that leak's rumor), Mario Kart 8 Deluxe features plenty to perhaps double dip for. 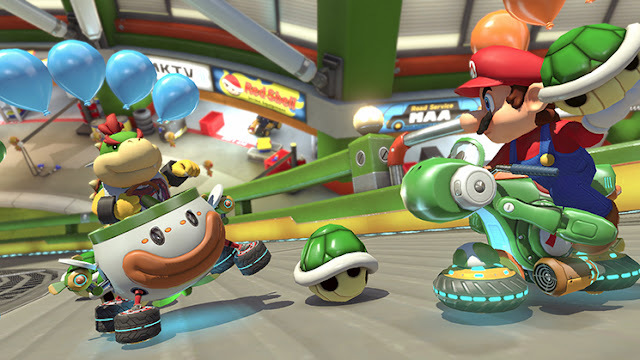 This includes a revamped Battle Mode including traditional arenas instead of large race tracks, new characters like Bowser Jr. and King Boo, and even new items like the feather from Super Mario Kart and the Boo power-up. Given an April 28th release date, Mario Kart 8 Deluxe is the definitive edition of Mario Kart 8, featuring all of the aforementioned new content and all of the content from the Wii U game, including all DLC. There's no better excuse to rev one's engines and return to the wild and wonderful racing world of Mario Kart 8 once again with the Nintendo Switch port. 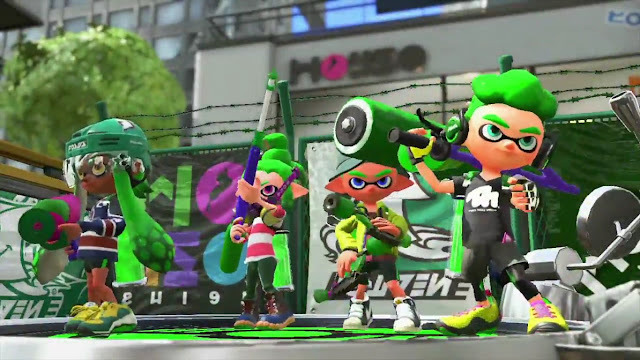 The original Splatoon was a massive surprise for gamers and a massive success for Nintendo. It was a totally fresh third-person shooter that focused less on terminating your enemies and more on painting the map with as much of your team's ink as possible. 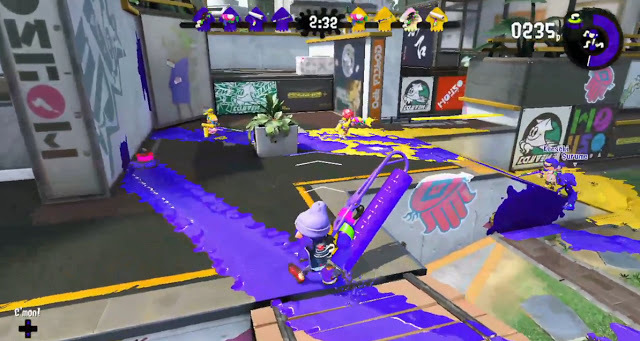 Then, there was the agility of the gameplay and massive mobility offered through turning into a squid to swim through the ink and get the jump on the other team. Splatoon 2 offers the familiar gameplay of the original, but offering new maps, weapons, clothes, and more presumably once we hear more about the game in the future. One thing that seems likely is a brand-new campaign to enjoy, which was masterfully done in the original. Planned for Summer 2017, Splatoon 2 should delight many Switch owners when it releases. 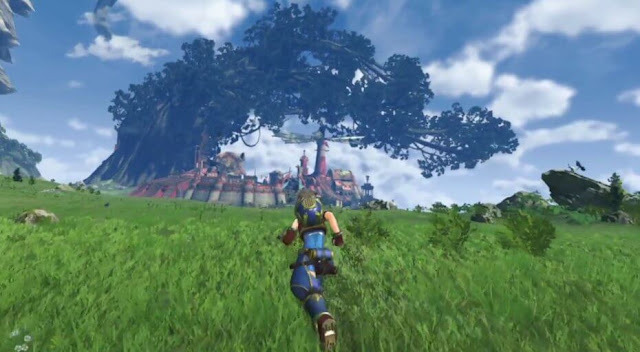 The team at Monolith Soft once again show off their ability to create wondrous worlds with Xenoblade Chronicles 2. This massive RPG is a sequel to the Wii and New Nintendo 3DS original instead of a side story like the Wii U game, Xenoblade Chronicles X, was. 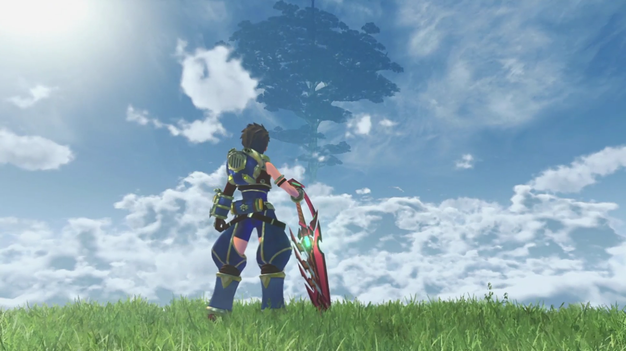 Instead of a darker tone, Xenoblade Chronicles 2 offers a more anime-inspired, lighter appearance. Regardless, the game should be yet another one from Monolith Soft that sees players lost in the world and game for hundreds of hours. Currently scheduled for 2017, Xenoblade Chronicles 2 is shaping up to be a delightful gem in the Switch's library. Few trailers in the past year or two has made it where I smiled and giggled during it. Super Mario Odyssey's debut trailer was one of those that did. 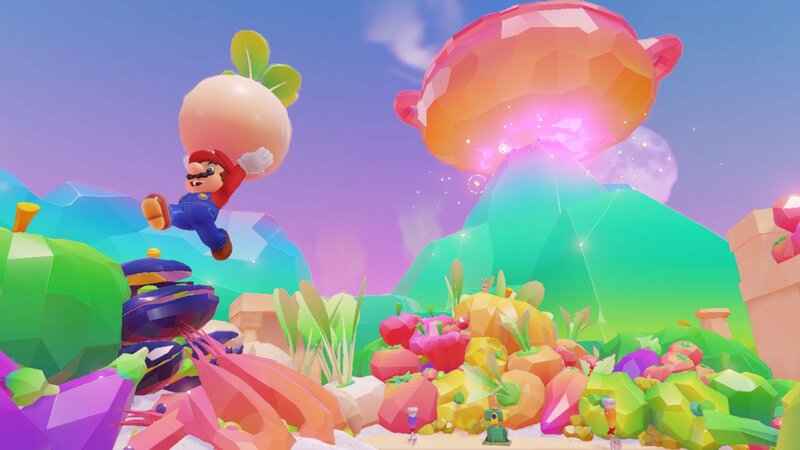 Showing Mario looking his best in a variety of locales such as a New York City-inspired metropolis, a mysterious forest, and a low poly world full of vegetables, Super Mario Odyssey's debut trailer delivered visual splendor and a whole host of interesting mechanics. 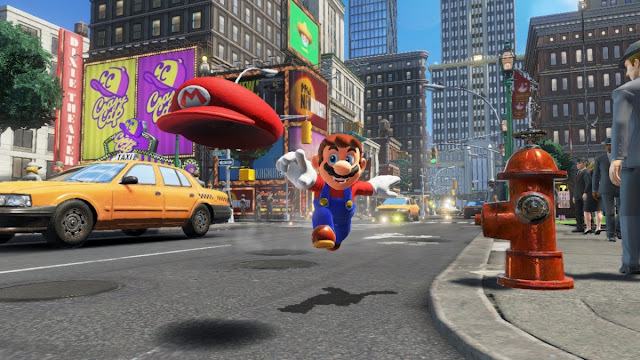 This includes Mario's greater mobility, and his ability to take off his cap and use it to take out enemies and jump on it like it was a small platform. Though not playable at the Nintendo Switch event due to its Holiday 2017 release period, Super Mario Odyssey is one of SuperPhillip Central's most anticipated Switch games, as the team behind the game has earned the trust of gamers for constantly providing masterful titles. 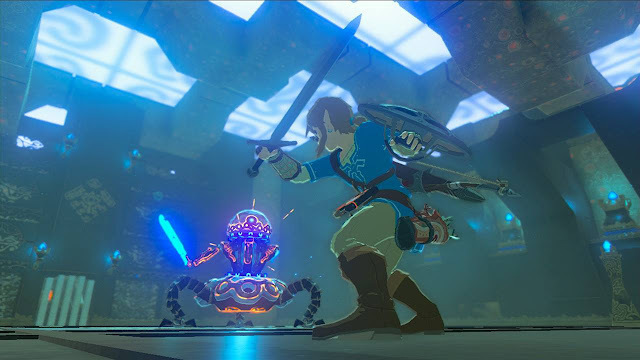 Also available on the Wii U, The Legend of Zelda: Breath of the Wild's Switch version has improved load times and also some improvements graphically over the Wii U version. Though, that was to be expected! Nonetheless, Breath of the Wild received a new trailer blowing the lid off the game, showcasing new areas, wonderful voice acting (the final version is dubbed in multiple languages), the return of Gorons and Zoras, and tremendous action in the game's gorgeous open world setting. It's been years since Nintendo teased a new Zelda adventure for the Wii U (and now Switch), and now The Legend of Zelda: Breath of the Wild is finally coming in less than two months on March 3rd to both Nintendo Switch and Wii U.